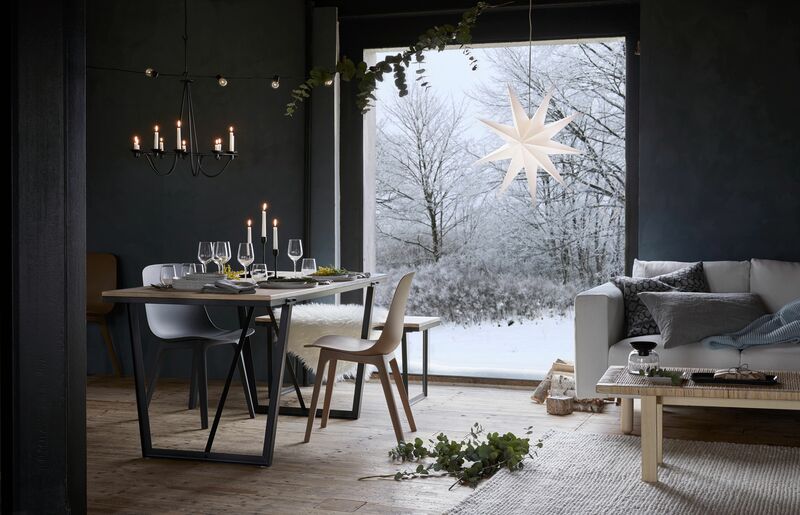 This year, IKEA’s coveted Winter collection is inspired by the rugged beauty of Iceland. The island nation experiences long, dark winters with only four to five hours of sunlight per day, which means Icelanders spend a lot of time indoors. They’ve even coined the term “gluggaveður,” which roughly translates to “window-weather” — that moment when the softly falling snow catches your eye, but then you step outside and realize how truly unforgiving winter can be. 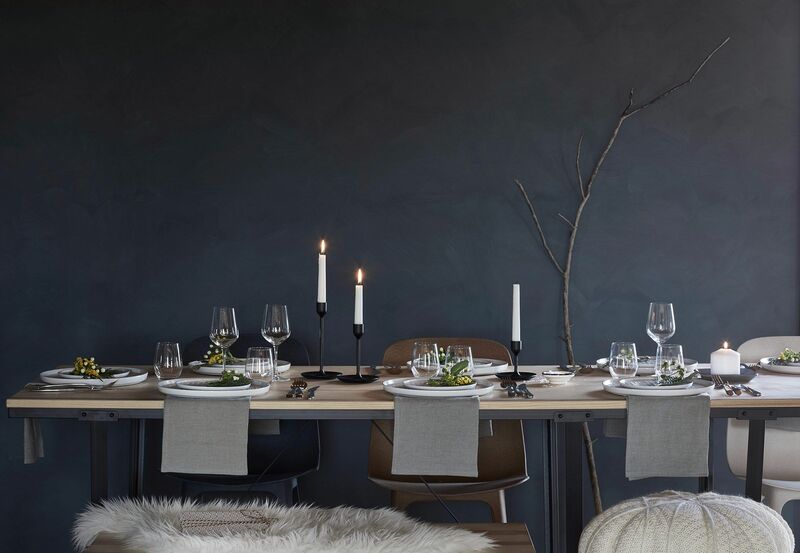 The latest Winter collection is intended to make your home a “more beautiful, kinder place,” with soft textures, entertaining-ready dinnerware, festive decor and ambient lighting. We pored over the creatively-styled images to find inspiration for our own holiday homes, and came up with these 12 elegant and affordable decorating ideas. Overhead lighting can be quite harsh during the winter months, but the radiant glow of candles can make your home feel warm and inviting. 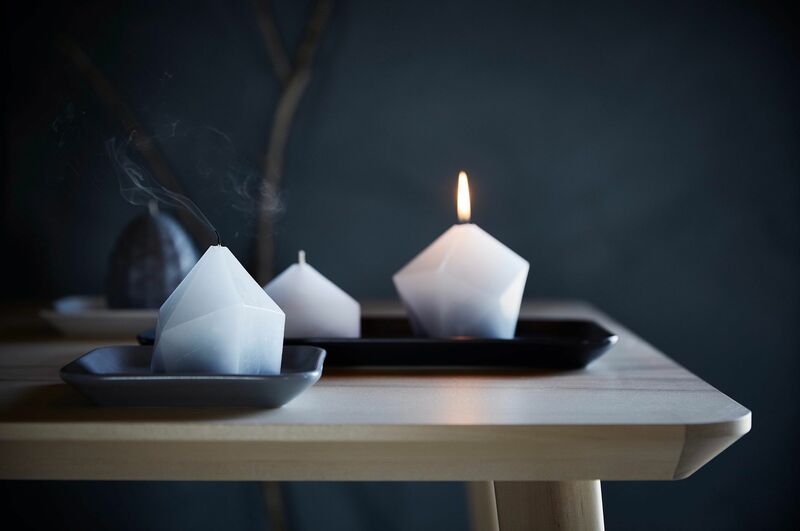 In addition to these geometric block candles, IKEA offers candelabras, tea light holders, lanterns and chandeliers to brighten up your interiors. Why spend money on holiday decor when you can forage in your own backyard? Arrange pine boughs in a tall vase, and decorate them with extra ornaments. 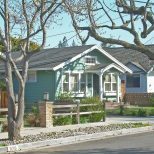 If you live in a cramped apartment or you’re heading out of town for the holidays, you could even use it as a Christmas tree alternative. A survey from 1998 found that 54.4 percent of Icelanders believe in elves. 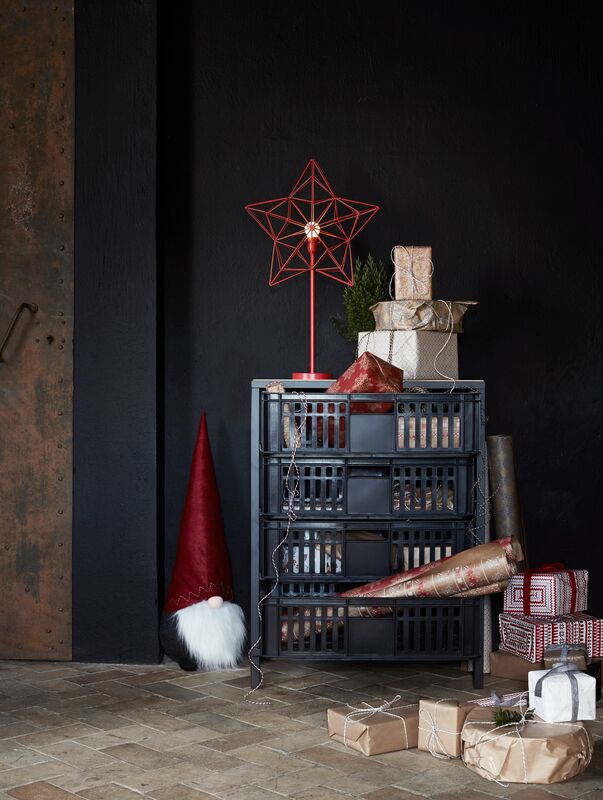 Bring a bit of magic to your holiday decor with a jultomte, a gnome-like character that delivers presents to children on Christmas Eve. While the jultomten is of Swedish origin, Iceland has its own version of the mythological creatures, known as the Yule Lads. 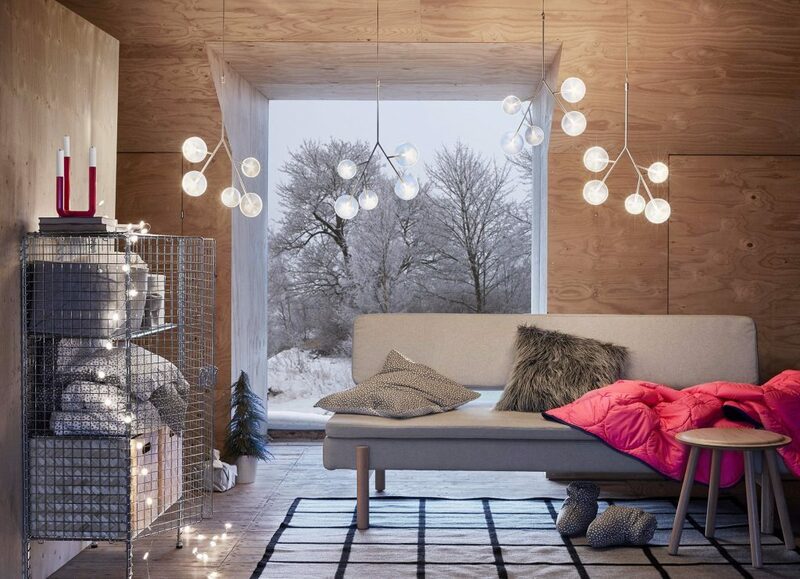 Lighting is an integral aspect of holiday decor, and nowadays there are so many options. Mixing and matching light sources — an LED light chain, LED chandeliers, and a three prong candlestick — gives the room dimension and intrigue. There’s no need to strive for perfection, here you can see the string lights puddle onto the floor, giving the space a relaxed, casual vibe. While we’re not suggesting you hang your Christmas tree from the ceiling (that is some Kris Jenner-level sh*t), adopting a new color palette is a fun way to change up the look of your holiday decor. 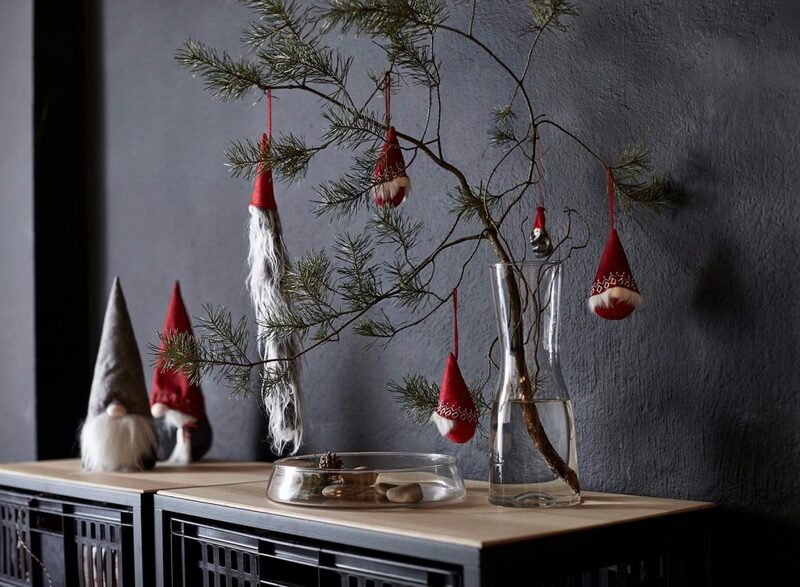 Here, minimal white ornaments contrast beautifully against dark green pine needles. Have we mentioned that nature is full of free holiday decor? If you’re too proud to pull over on the side of the road to cut down some red berries, you can always purchase a bundle from your local florist. 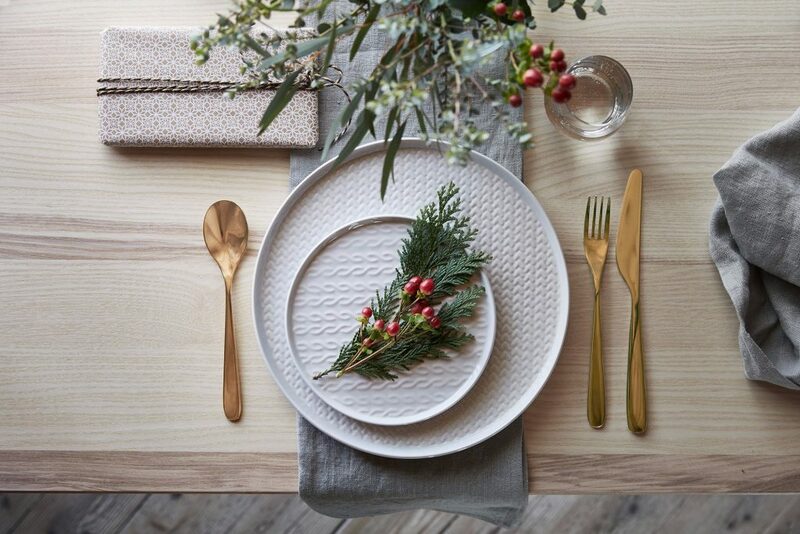 You can also integrate a few cedar sprigs to really make your table setting pop with color. Holiday cookies and treat are the perfect gift for coworkers, your building’s doorman, the dog walker…or when someone surprises you with a gift and you’re expected to return the gesture. 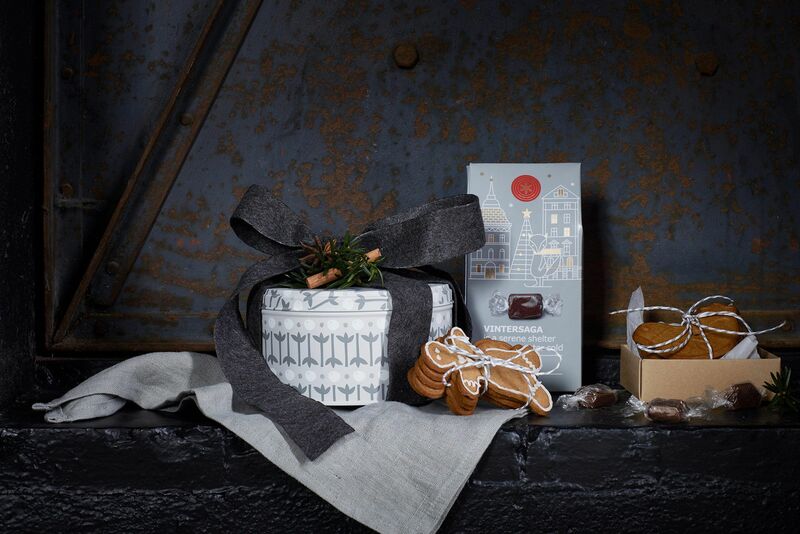 Package homemade baked goods in decorative tins, like these from the Winter collection, available in sets of three. If you’re not a savvy DIYer, sprucing up an artificial wreath is the way to go. 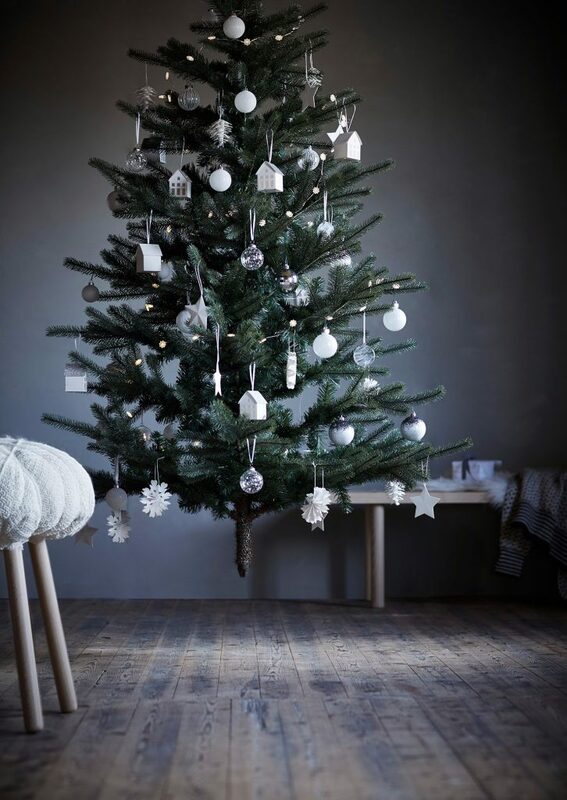 Add ribbon, faux berry branches, twinkle lights or jingle bells to show off your holiday spirit. Hang the wreath on your front door or use it as a charming centerpiece. Why settle for cheap, tasteless chocolate when you can design your own advent calendar? 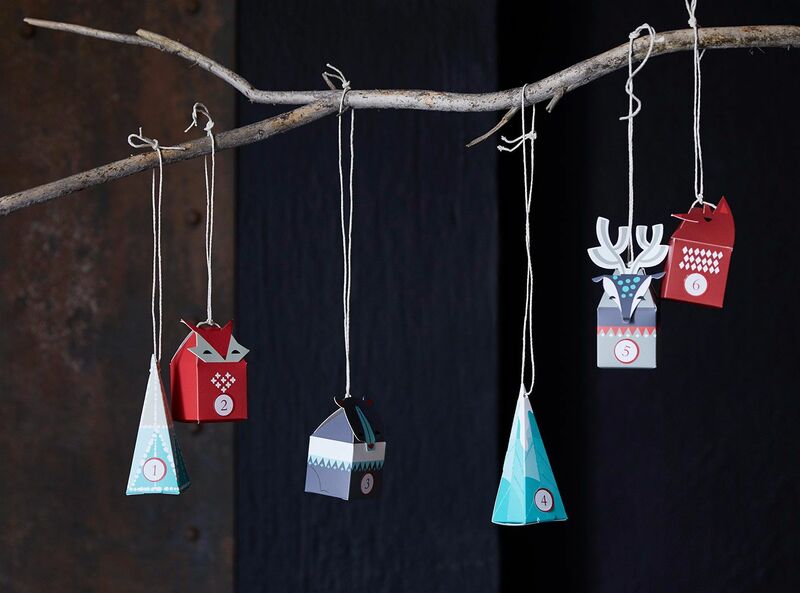 Fill these 24 gift boxes with candy or tiny knick knacks, and hang them from a sturdy branch. 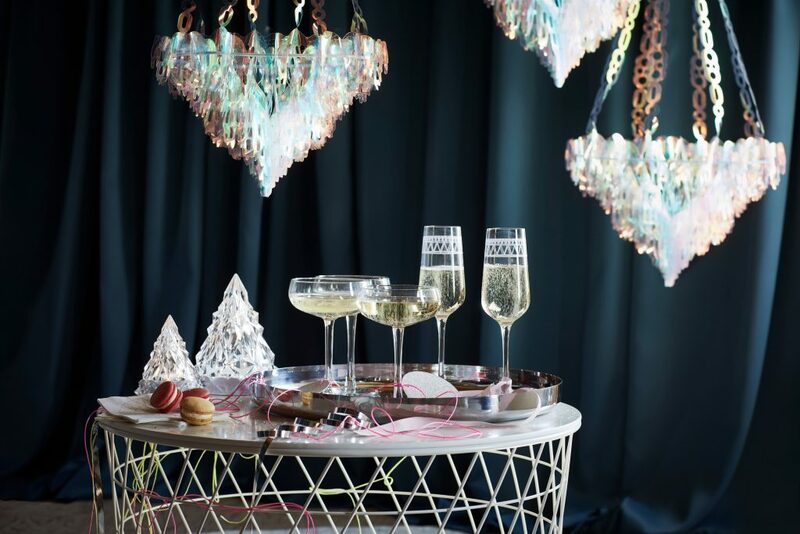 These iridescent chandeliers, which IKEA describes as “party hats for your living room,” are festive enough to be displayed until the New Year. If you’re looking for something a little more traditional, the Winter collection also includes a hanging chandelier that can accommodate seven candles and a few decorative touches. When you’re hosting a holiday party, it’s often a challenge to scrounge up enough seats for your guests. 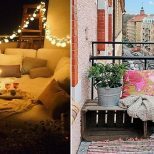 Sure, you could offer them a folding chair or a stool, but will it be comfortable enough to last the night? 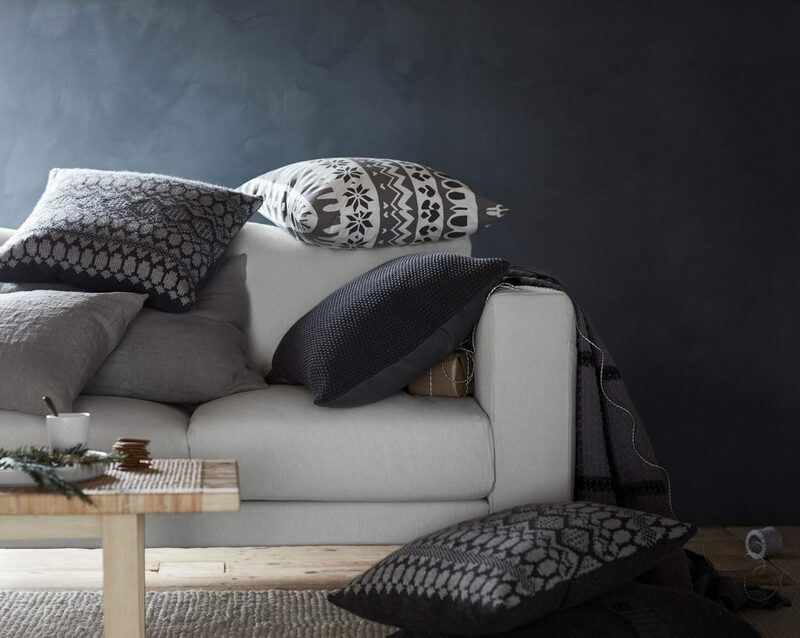 IKEA suggests the do-it-yourself dining chair approach — here, they’ve placed a throw pillow on top of a stool, and secured it using a soft cotton blanket and some ribbon. You could also drape a faux-sheepskin rug across a dining bench to add texture and warmth.